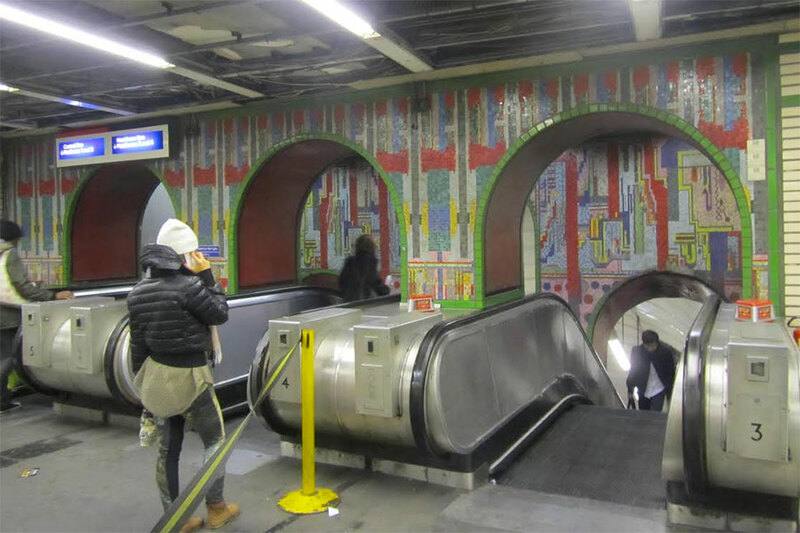 Are London's Paolozzi underground mosaics to be destroyed? 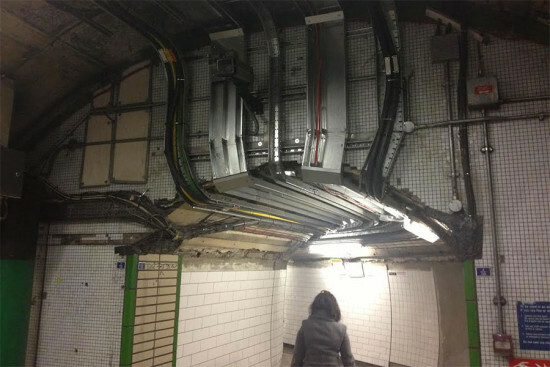 - Archpaper.com Are London's Paolozzi underground mosaics to be destroyed? In October on a visit to London, friends mentioned that Eduardo Paolozzi’s early 1980 tile mosaics in the Tottenham Court tube station were going to be demolished. I diverted a Northern Line trip from Bank Street to the Charing Cross branch of the line and and walked through the Tottenham Station taking poorly lit iPhone images of the threatened mosaics. Paolozzi was a founding member of the English Independent Group and as an important early pop artist. His tube station artworks are a colorful and bright addition to a public space that is usually generic and often downright lifeless and boring. In fact, the Paolozzi art work makes this one of the most unique and recognizable train stations in the world and the thought that it would be destroyed seems mad. But now English news sources are reporting that while major parts of the mosaics will be destroyed other parts of it will be saved. The station is being reconfigured and enlarged as part of Cross Rail, the new English national train system, being integrated into the London underground. But the English Twentieth Century Society, which is devoted to preserving modern design from 1914 to the present, pointed out that two of the stations most recognizable Paolozzi additions—a double set of tiled arches over the escalators in the main concourse and a large decorative panel at the entrance to the south side of Oxford Street—will be destroyed. They argue the mosaics could easily be retrofitted into the new station. Hawkins/Brown, the architects for the new station, pointed out that they are preserving as much of Paolozzi’s work as possible, claiming 95 percent of the mosaics will be saved using a mix of original and replica tiles. Lets hope an accommodation can be worked out for these major parts of this important Paolozzi work.